Pike Lanes - Competitive & recreational bowling at its best - Times Publishing Newspapers, Inc. Whether you’re a competitive bowler or just looking to improve your game, Pike Lanes is the perfect place for passionate bowlers, both young and old. 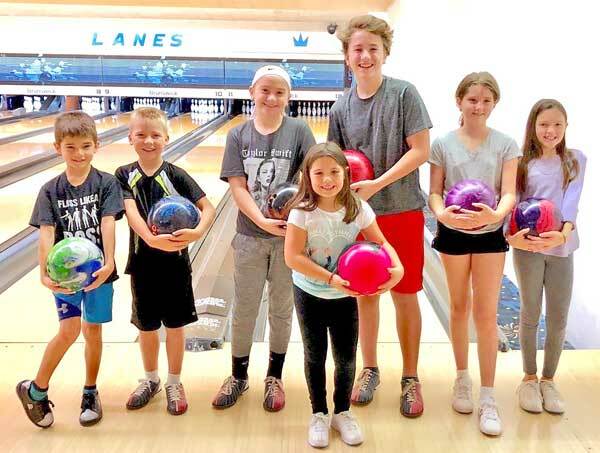 Located at 121 Second St. Pike in Southampton, Pike Lanes prides itself in providing bowlers, young and old, beginners and advanced, with a clean, competitive, safe and friendly environment, says owner Rachel Wilf. “We encourage all bowlers to perfect their game and enjoy supporting youth bowlers who see a passion in the sport of bowling,” says Rachel. The smoke-free bowling alley has been in her family since February of 1976, when her parents, Sam and Ingrid Wilf, purchased it, and Rachel strives to continue to give the alley that family-friendly feel. Her parents, and brother, Danny, ran it until 2006, when Rachel took over, due to health issues. Since then both her father and brother have passed on. “This is the best bowling alley hands down in the area. It is a gem! No loud distracting music, knowledgeable staff. Their Saturday youth league is amazing and hands on. They care about these kids so much, and it’s like a family. Places like this are rare nowadays. A local business that cares about the community, gives back, and is just a great place to be,” says Philadelphia resident Jacqueline Armstrong. One thing that is unique to the bowling alley is that bowlers can bring in their own food and beverage, including alcoholic beverages. Many places do not allow patrons to bring in their own snacks, but Rachel says this puts the focus back on the sport instead of the snack bar or restaurant. “We are strictly bowling, we do not offer a snack bar or a bar or a restaurant,” says Rachel, though she adds that they do provide a small pro shop where they do ball drilling, by Bobby Kerwin and others, on the premises. “Music and cosmic lightning can impede the pure enjoyment of the sport, but it is offered to those who host private parties with us,” says Rachel. Another unique perk of the bowling alley is that dogs are welcomed, provided you ask permission and have a well-behaved dog. “If dogs are well-behaved, they’re more than welcome,” says Rachel. Pike Lanes is perfect for parties. With 12 lanes offering Brunswick Anvil Synthetic Lanes, A2 machines, Brunswick Frameworx Automatic Scorers, the alley can accommodate 100 people. You can rent all 12 lanes for two hours for $600 dollars including shoe rental, lanes and you can bring your own food and beverages. Bumpers are also available for children up to six years of age. For those interested in some friendly competition, Pike Lanes also hosts multiple men’s women’s, mixed and youth leagues throughout the week. Pike Lane’s league bowlers enjoy benefits such as special discounted rates for pro shop equipment, special rates for private parties, and free and secure WiFi. “I have been bowling here with family, friends and great leagues since the 80s. It’s a tremendous family run business. This house is the Connie Mack Stadium of Bowling homes. As good as it gets,” said Samuel Diluigi of Ivyland. To reserve a spot on one of the leagues or to partake in open bowling, call 215-357-1899. For more information visit www.pikelanes.com. PHOTO CAP: Join the fun at Pike Lanes! Pictured from left, Trip, Patrick, Julianna, Jacob, Kerri, Shayla and Lilah (front).